You've seen these 361 degree running shoes selling for much more at your local sports shop - buy them here and save! When you're out for your morning run or taking care of errands on a Saturday afternoon, you want your feet to be cool, comfortable and in control. 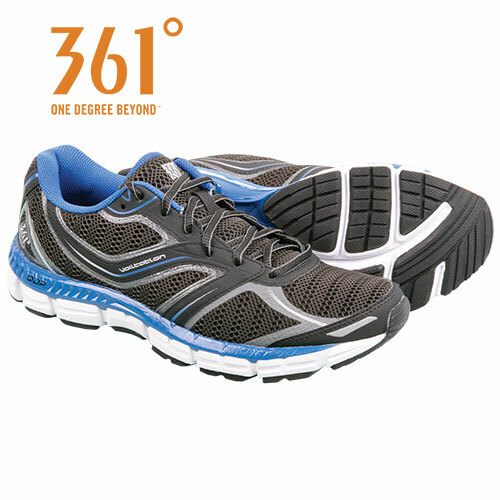 So pick up these 361 degree running shoes. The uppers are crafted from a lightweight open mesh that breathes and won't bog you down. And for comfort mile after mile, they have a padded tongue, strong heel cup, Quick Dynamic Performance cushioning and rubber outsole. Color: Black/grey/roy. Mens size 12.